Golborne Deli is just moments from the hustle and bustle of Portobello Road, enticing passersby and regulars in with delicious Mediterranean breakfasts and brunch options. 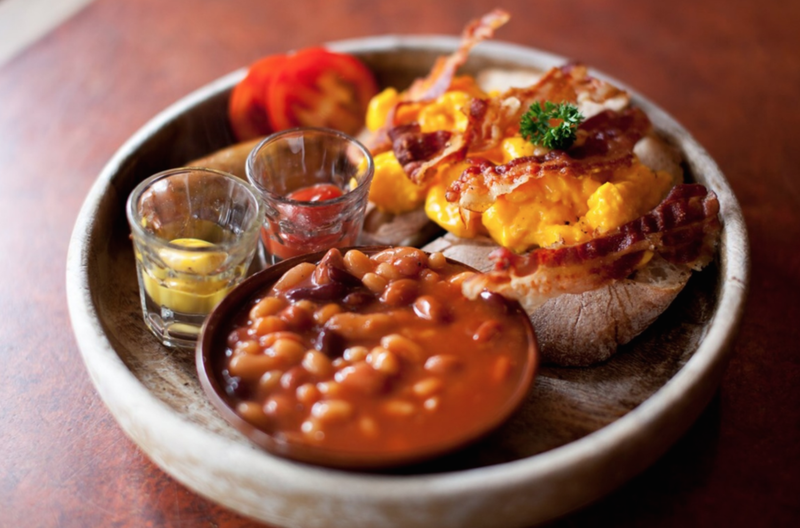 A delightful mix of deli and diner, this hot spot provides you with a place to get away from it all. Experience fresh and flavoursome food, with lots of ingredients sourced directly from mainland Italy and Sicily. 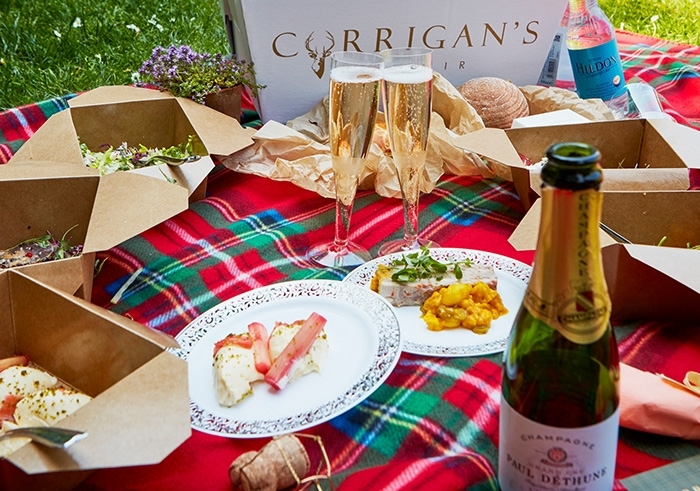 Located only a short stroll from Hyde Park, Grosvenor Square & Berkeley Square, Corrigan's make al fresco dining easier with excellent gourmet picnic hampers. The hamper includes seasonal dishes from our Irish & British menu, which can be tailored to your group size and specifications. Each picnic hamper is freshly prepared to order. Presented in a mysterious shiny perspex box, this afternoon tea is shrouded in excitement and is a real talking point between guests. 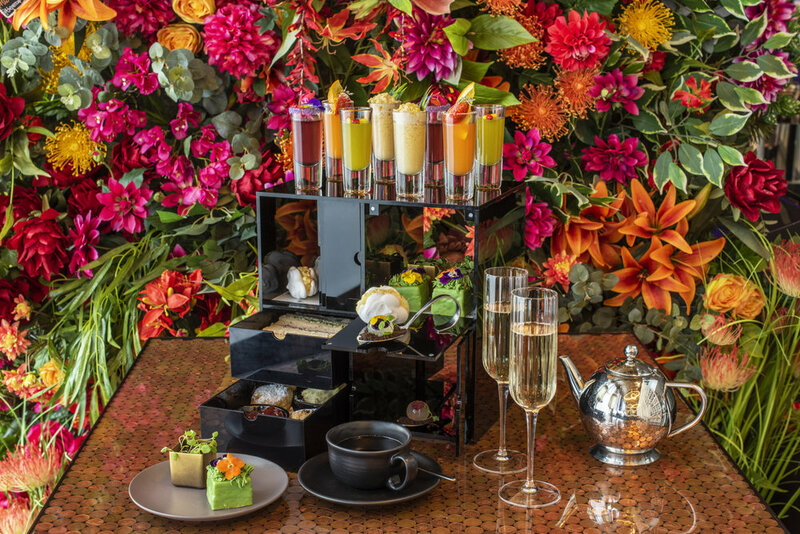 Open draws and doors to reveal colourful and unique afternoon tea creations: traditional sandwiches with a twist, freshly-baked buttery scones, unconventional sweet treats and thrilling cocktail shots adorned with pop-art-esque details. Cocktail shots add a tipsy twist! Honouring one of the UK’s most celebrated sporting events, The Dorchester will serve its annual Wimbledon Afternoon Tea at The Promenade for the duration of the tournament (July 2 – 15). Executive chef Henry Brosi and his award-winning pastry team have created exclusive pastries for the occasion, including the Wimbledon Tennis Sponge - made with Lemon verbena, strawberry, white chocolate and cream ganache – which will be accompanied by a glass of champagne, traditional strawberries and cream, finger sandwiches and homemade scones. The Championship will be screened from St James’s Market for the full two weeks – 2 – 25th July. 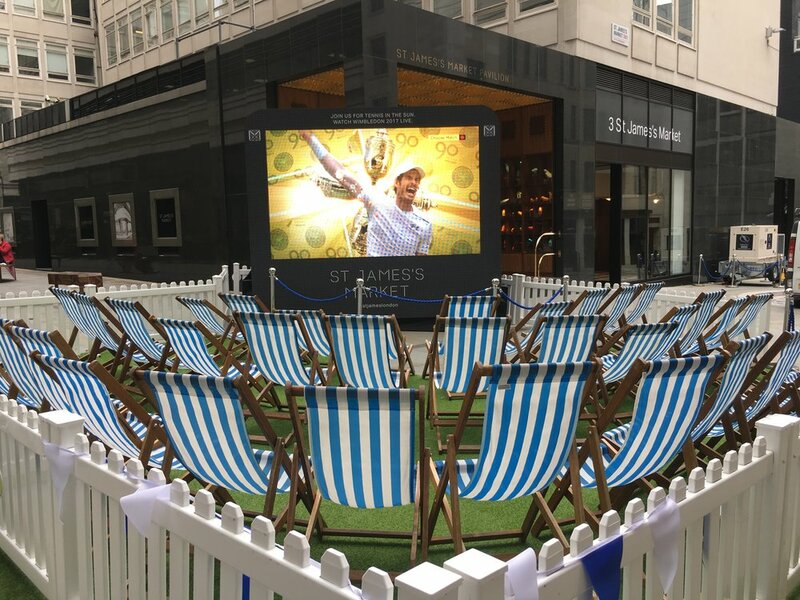 Situated in the newly built pedestrian courtyard a giant screen, rows of deckchairs and festive decorations will set the scene to enjoy the match experience from the heart of the West End. Local restaurants in St James’s Market will be serving from their terraces on the day with special Wimbledon offers and incentives. Daphne's restaurant is a modern and relaxed Italian 'local' located in Brompton Cross between Chelsea and South Kensington. Enjoy freshly prepared summer meals including Mixed Beetroot & Watermelon Salad with Ricotta and Mint, Octopus Carpaccio, Provola Tortelloni, Scallops with Chilli and Garlic and Spaghetti with Lobster. For thrill seekers, The Ivy Tower Bridge has partnered with Thames Rockets to bring you an unforgettable experience on the Thames. After an exhilarating 40 minute trip on a speed boat, you'll be taken to The Ivy Tower Bridge for a beautiful 3 course meal with drinks over looking the Thames. Expect to see London from brand new perspectives. As well as its famous chocolate dipped strawberries, the iconic chocolatier has introduced a new range of its infamous 'Chocolixir' and soft serve ice creams. Head to Mayfair's bustling Regent Street to explore the world of Godiva. Discover your favourite ice cream from the new collection and head to one of London's picturesque Royal Parks to absorb the summer vibes. 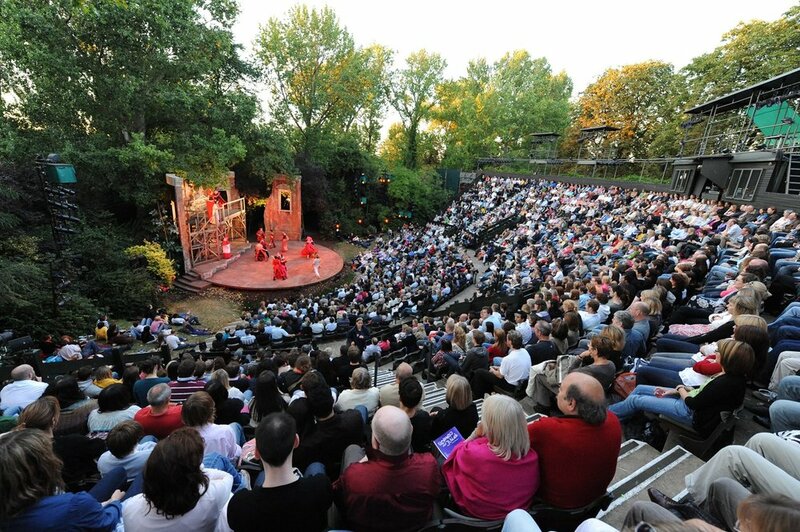 Regent’s Park Open Air Theatre opens for an 18-week run of shows every spring, bringing professional stage performances onto London’s largest outdoor theatre until September 9th. This year the five shows are: Peter Pan, The Turn of the Screw, As You Like It, Little Shop of Horrors and Dinosaur World Live, alongside food stalls and outdoor bars. Beaufort House Chelsea offers a range of cocktail masterclasses, where you can learn the art of cocktail making and find out how to mix, shake and serve some of the most delicious drinks around. After a welcome drink you will be guided through the history of some of the spirits you will be using and how they are made before being let loose behind the bar. 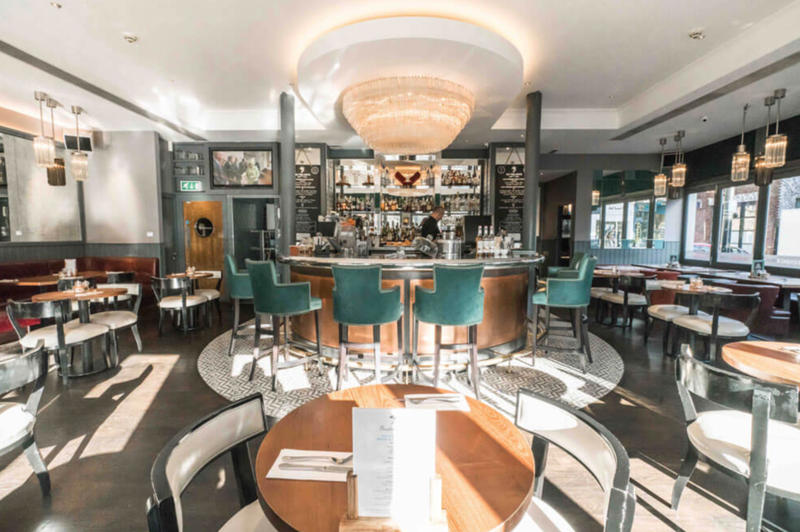 This year, The Ivy Café, Wimbledon, will celebrate the annual Wimbledon Tennis Championships by once again serving up a series of delights for guests to enjoy until Friday, 20 July. Expect two strawberries and cream exclusive cocktails and a Centre Court Melting Bombe dessert featuring a white chocolate bombe served alongside fresh strawberries and shortbread. Chef Dabiz Muñoz really believes cocktails are liquid cuisine. He puts all his creativity into developing playful and unexpected drinks to amaze costumers. You will gasp at the majestic cocktail presentation and be wowed by excellent flavour combinations! This new destination has been created to continue enhancing the DNA of XO. 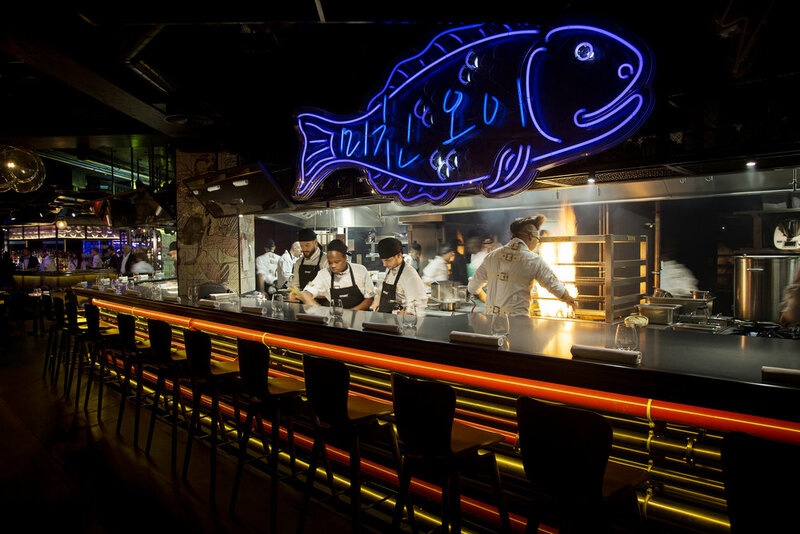 From June 27 - 30, renowned celebrity chef, Wolfgang Puck is bringing his iconic Chinois on Main menu to his first restaurant in Europe - CUT at 45 Park Lane for an exclusive 3 day pop-up marking the 35th anniversary of Chinois on Main, Santa Monica. Puck and executive chef David McIntyre will be putting a contemporary take on the most popular dishes from the restaurant’s original menu. 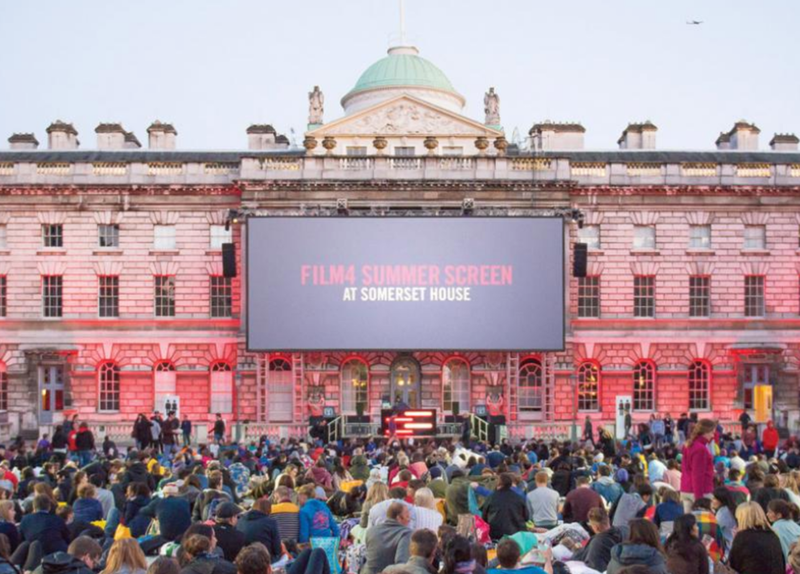 Film4 Summer Screen at Somerset House returns for two weeks this August, bringing you a film lover’s dream season at London’s ultimate outdoor film destination. This year's stellar selection of films are shown on London’s largest outdoor screen, presented in full surround sound and accompanied by DJ sets, exclusive onstage introductions from directors, cast and surprise special guests. Relax and unwind in Sanderson Hotel’s serene haven and escape the stresses of the city in Berners Terrace. 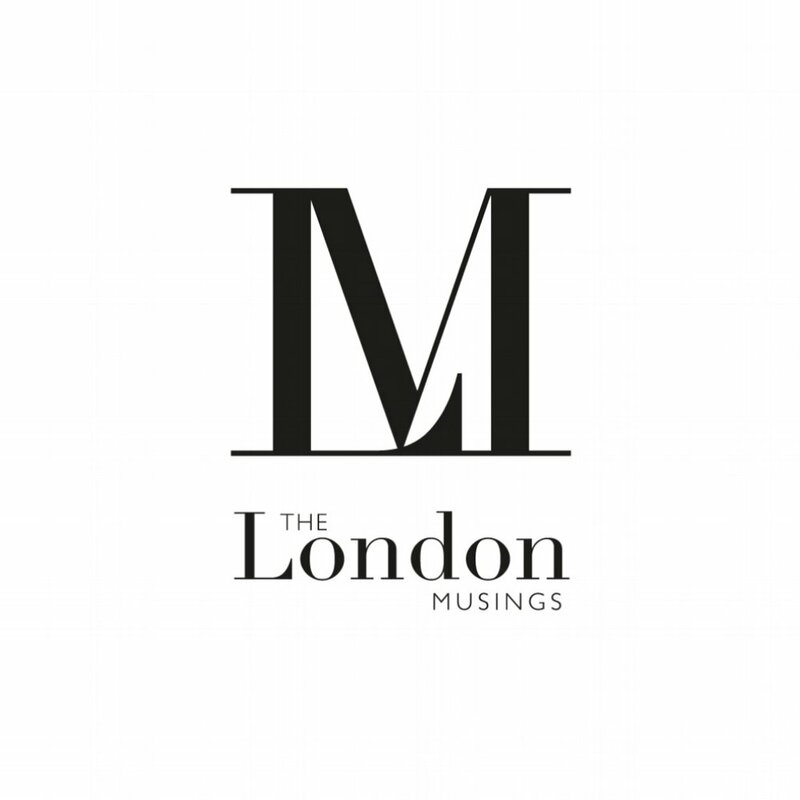 This romantic summer package includes overnight accommodation, complete with English Breakfast, as well as a cocktail per person per room from the Berners Terrace and two special snacks to share.